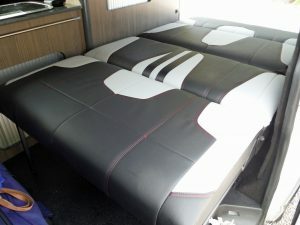 RB Sails has been doing boat and Campervan upholstery for years. 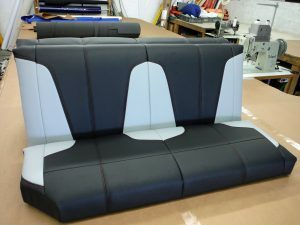 This is a really nice example for a customer who wanted their rock and roll bed to match the front seats of his VW T5 sportline van. It is black and grey with red stitching. The customer was very happy. 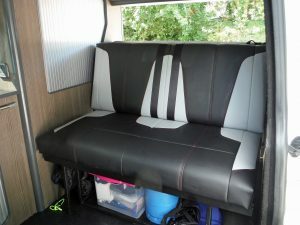 If you have any van upholstery don’t hesitate to give RB Sails a call on 01736 754659.